The place has a romantic ambiance which makes it ideal for a lovely date. It offers you the best of the Spanish cuisine along with slow background music, dim lighting and delicious drinks at a very affordable price. On the Waterfront proves to be literal with tranquil water body and the lights can that set on the romantic mood. It serves Pan Asian, European , Oriental and North Indian food. Fio has these intimate and cozy nooks which is perfect for the lovebirds on the D-day. With its Indian and Italian food you can enjoy it’s country-style ambiance. With the affordable price, it can make your day a special one. The place has a Mediterranean touch to it with soft melodious music in the background. It’s menu consists of Mediterranean, European and Italian cuisine. As the name suggests, the place specializes in lip smacking Thai food. It offers an intimate setting spread across three floors. Also, it is one of the few places where you can have your food overlooking the Qutub Minar. It has been described as one of the best poolside restaurants in Delhi. The place provides Continental, Italian and Mediterranean cuisines. The place is lavish and costs a little more than average but at the end its worth the food and the romantic ambiance. Parikrama is Hindi means to surround something or to rotate around something. The place is a restaurant that revolves around at a height of 240 ft. It is for those who like to take the idea of ‘swoon in love’ to its literal heights. You can enjoy Chinese, North Indian and Mediterranean cuisine here. This is one floral setting for a great romantic outing. The restaurant is surrounded by lush-greenery. With the western classical music in the background, its a perfect place to spend some quality time with your loved one. 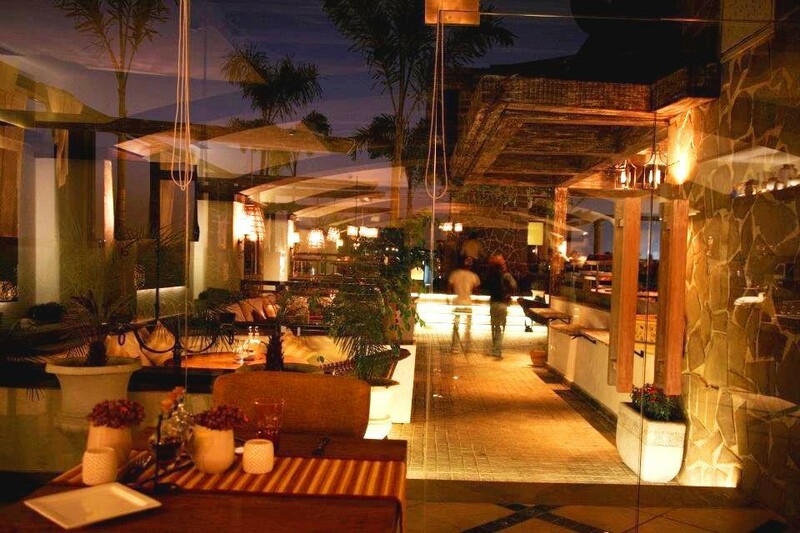 It is one of the most popular rooftop restaurants in Delhi. Situated in Hauz Khas Village, the restaurant serves wide variety of cuisines which include Continental, Mediterranean, Italian, European, French and Seafood. Dine under moon lit skies or relax in the candle lit lounge – just enjoy the old world charm of Tuscan Italy at its best. It is one of the most romantic restaurants in Delhi/NCR and on top of it they even have live music on special occasions including the Valentines Day. It serves delicious traditional Italian recipes. It has breathtaking rooftop views and dreamy ambiance. The decor of the restaurant gives you a feeling of nice lounge in Europe. It serves Mediterranean, Italian, Continental and Spanish cuisines. The place has an open air terrace which offers awesome scenic views of Connaught Place. The menu here is includes Chinese, Thai, European, North Indian & Italian cuisines.